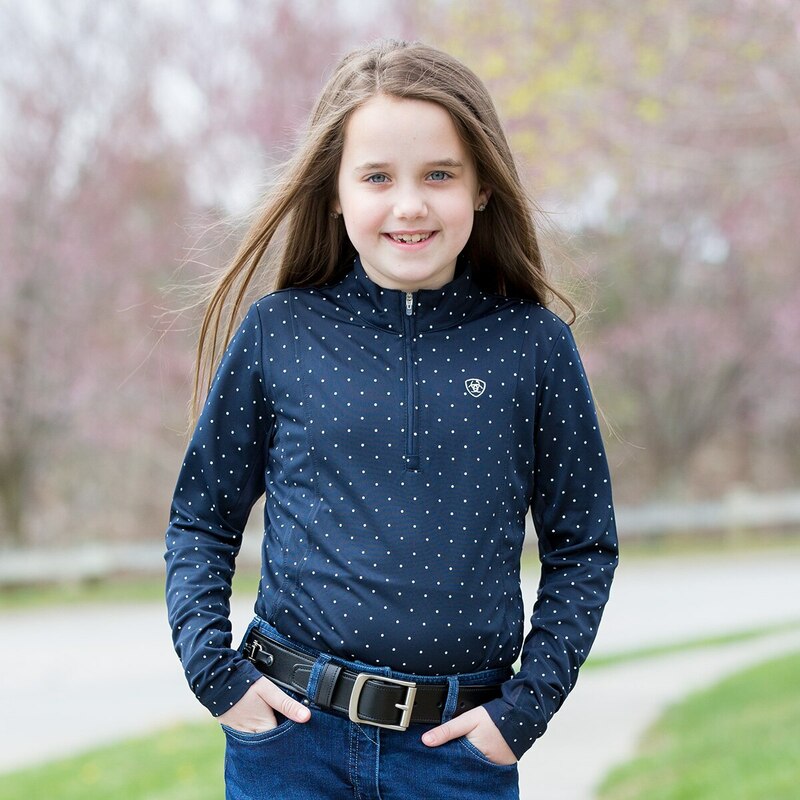 The Ariat Girls Sunstopper 1/4 Zip has everything you need for fun in the sun! 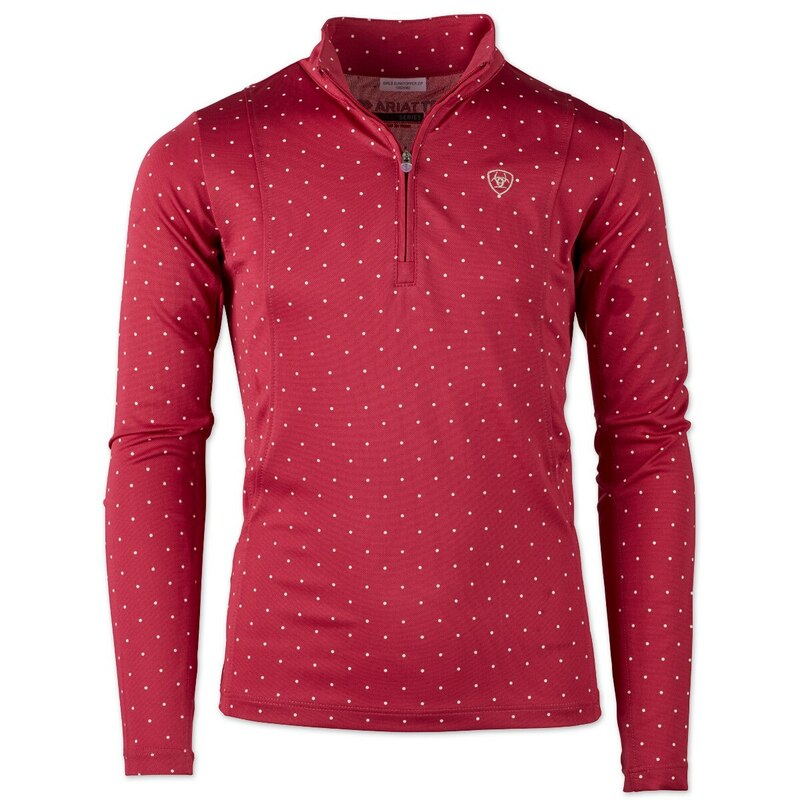 Lightweight pique knit and breathable mesh underarm paneling will make sure you're cool and comfortable while wearing. Part of the AriatTEK Heat series, its meant to keep you cool when things heat up. 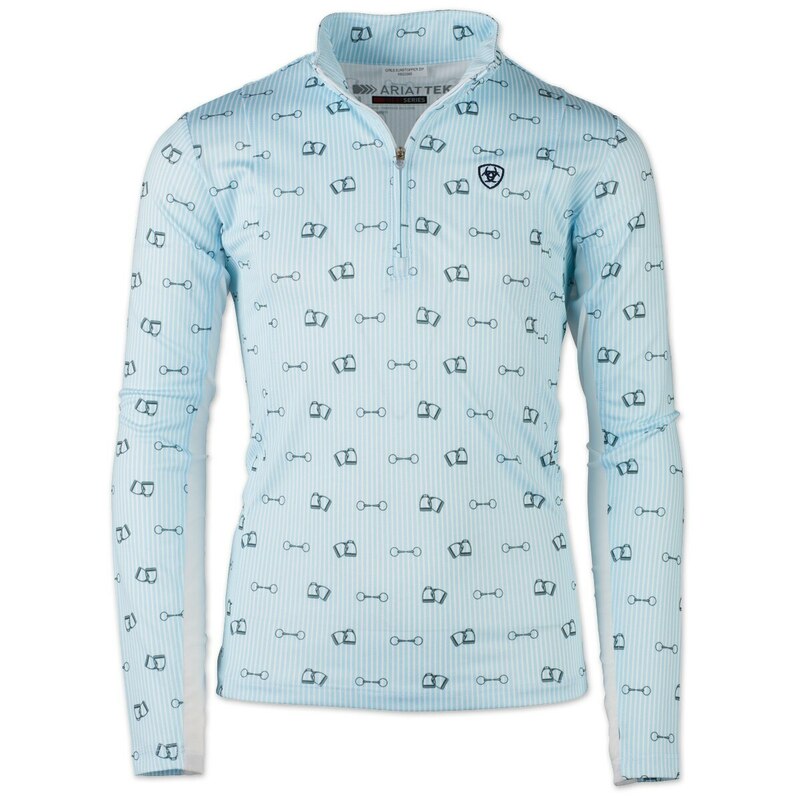 Moisture management pulls any moisture to the outside of the shirt so it evaporates quickly and you stay dry! 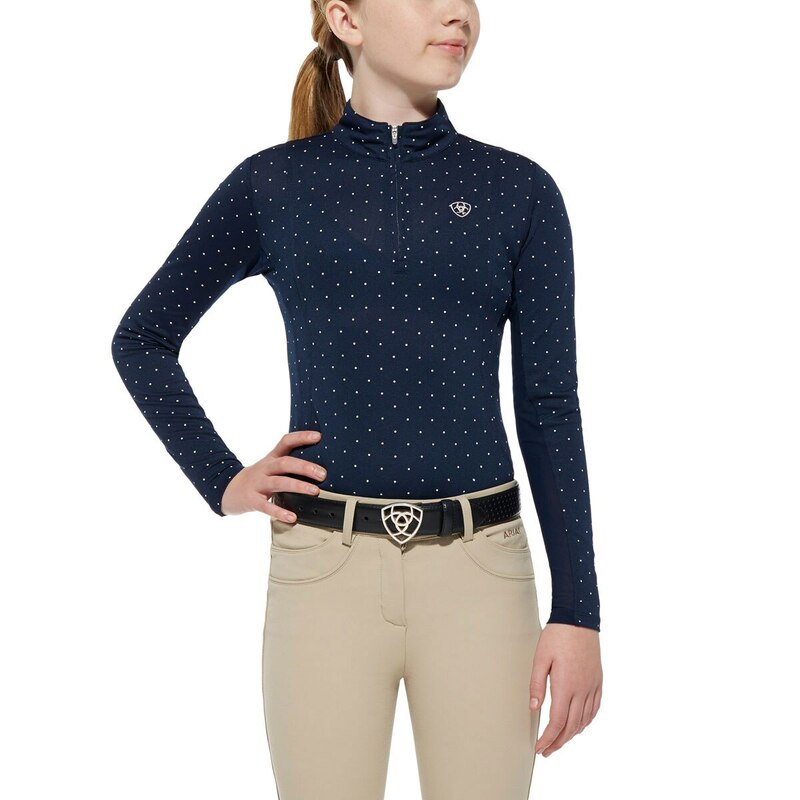 Ariat Girls Sunstopper 1/4 Zip is rated 5.0 out of 5 by 2. Rated 5 out of 5 by JJ T from Cute shirt! Nice material. Great fit. Overall a nice shirt for kids. Rated 5 out of 5 by equestrian27 from Lightweight and Comfortable I am so happy I bought this shirt. 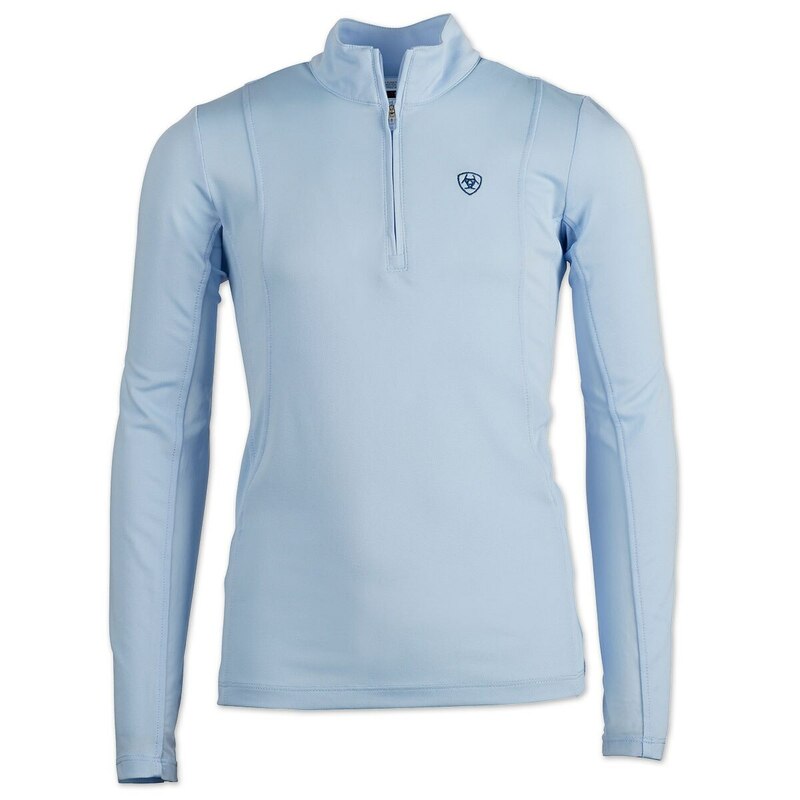 It is so comfortable and thin it's perfect for warmer weather. I love how soft the mesh is on the sleeves and how well ventilated the shirt is. 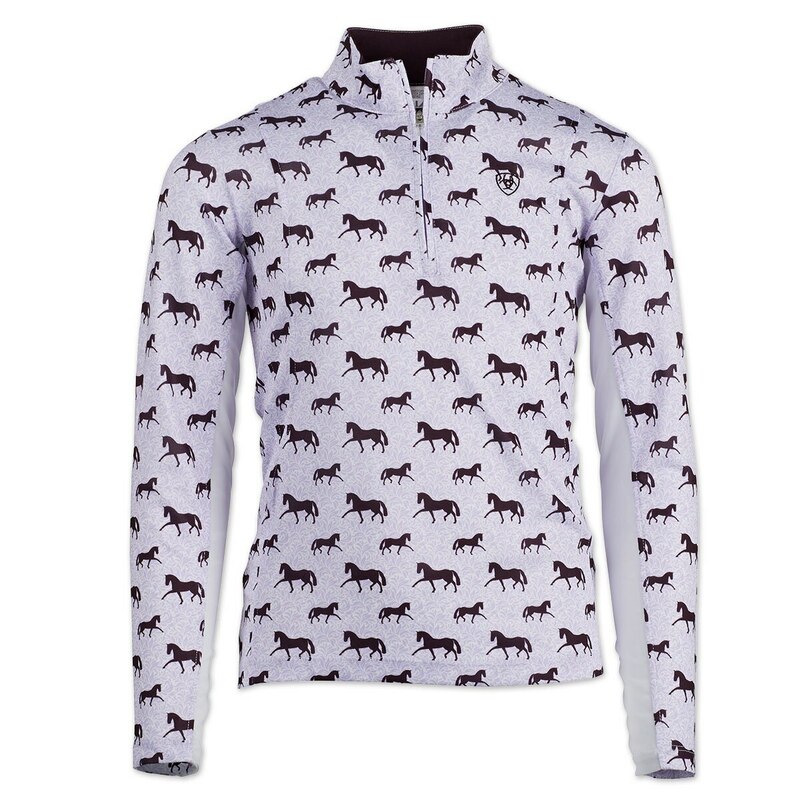 The pattern is super cute and adds a little extra to your riding outfit. The only downside was the sleeves are a tad too long for me but the actual quality of the shirt is superb! I certainly receive many compliments whenever I wear it!